Clean and dry compressed air is required. 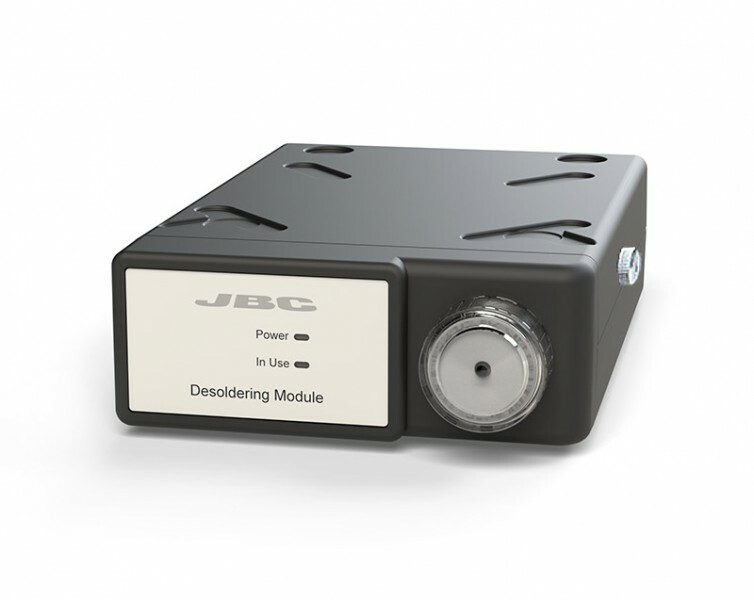 The pneumatic suction module is indispensable for a complete desoldering process. By using compressed air and a Venturi valve, the system provides the best results due to its instantaneous vacuum ramp. It is equipped with some suction filters easy to change in order to extend the pump´s life. MV is compatibe with CV station and DI control unit which manage the tip temperature while module removes the molten solder. MV works with the comfortable DS360 or DR560 desoldering irons and their corresponding tips.